Want to use Docker with your Java Virtual Machine (JVM) projects but don’t know where to start? You’ve come to the right place. Join expert Benjamin Muschko to learn how Docker can help you deliver reliable, containerized software as part of your automation process. You’ll containerize, distribute, and test a Java application with Docker and explore the tooling integration for Docker, including IDEs, build tools, and CI, to make you even more productive. You’ll leave with a firm understanding of the role Docker plays in the development lifecycle and prepared to immediately use Docker in your own JVM projects. You’re a developer of JVM applications who wants to understand how Docker can make your life more productive. You work with Docker on the command line and want to further automate your interaction with Docker. You already use Docker but want to learn about tooling to become more productive. 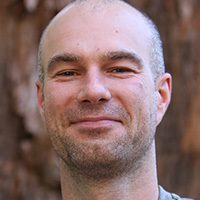 Benjamin Muschko is a software engineer, and a consultant and trainer with over 15 years of experience in the industry. He’s passionate about project automation, testing and Continuous Delivery. Ben is the author of Gradle in Action (Manning). He is a frequent speaker at conferences and is an avid Open Source advocate. Group discussion: What’s your experience with Docker as a Java developer?